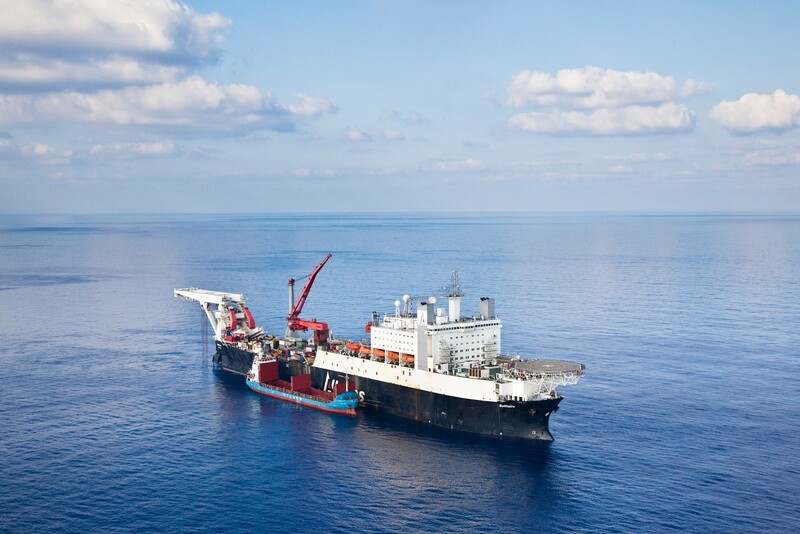 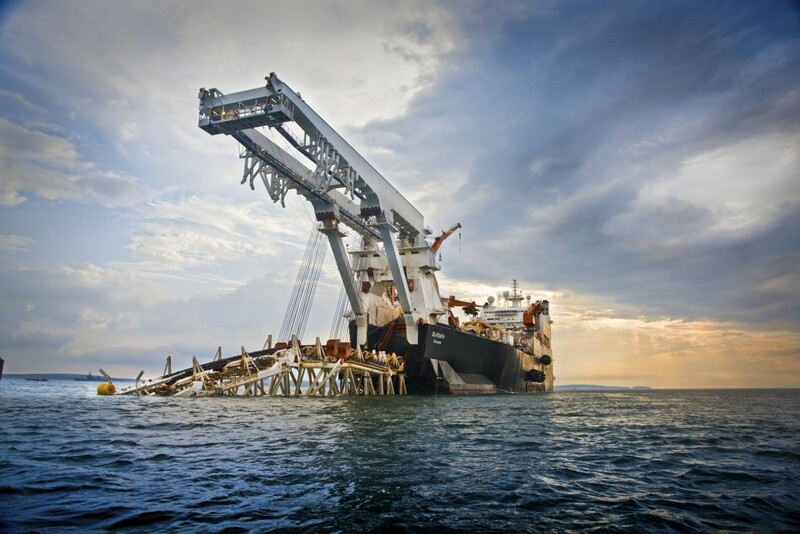 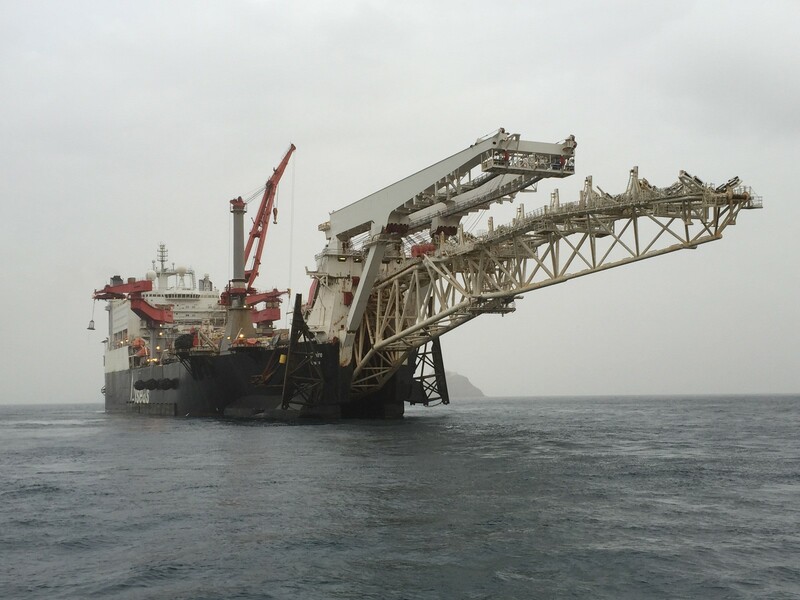 Solitaire is one of the largest pipelay vessels in the world and has set new standards in the pipelay industry. 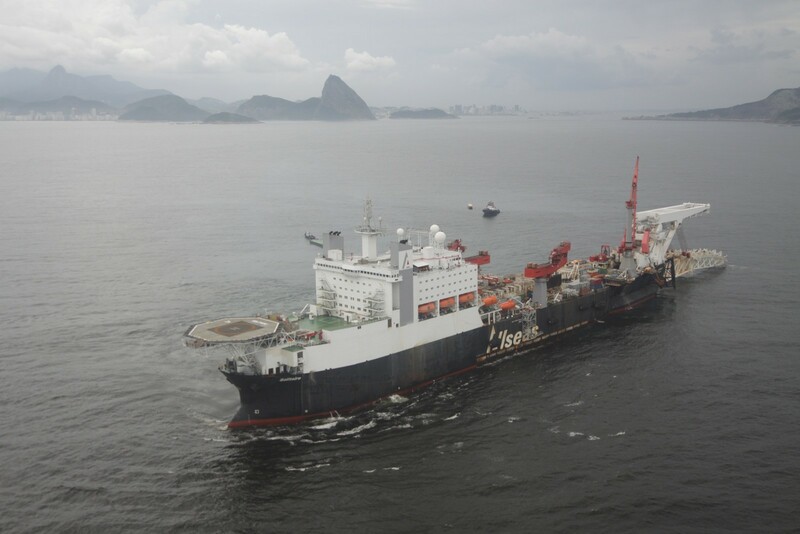 The vessel has been operational since 1998 and has since steadily improved her performance. 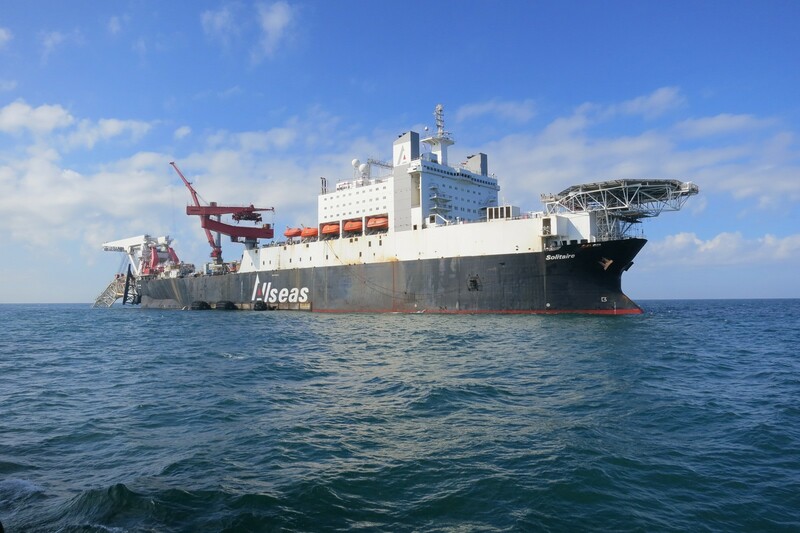 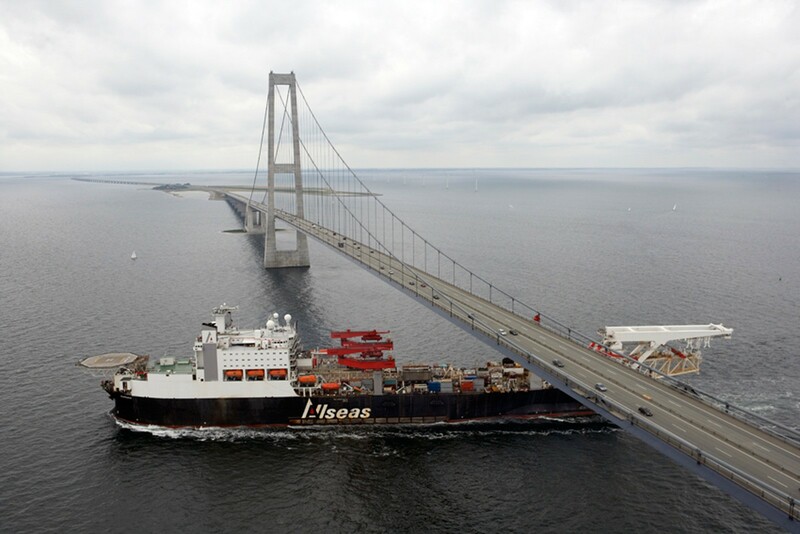 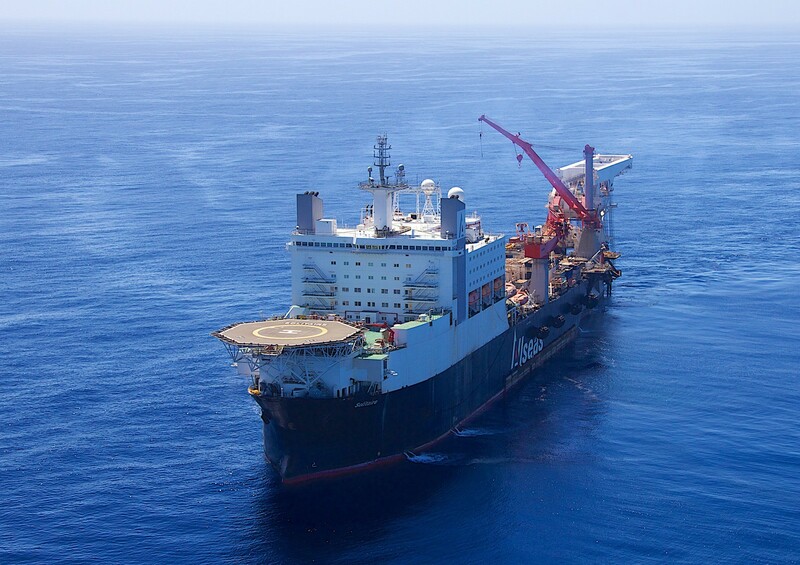 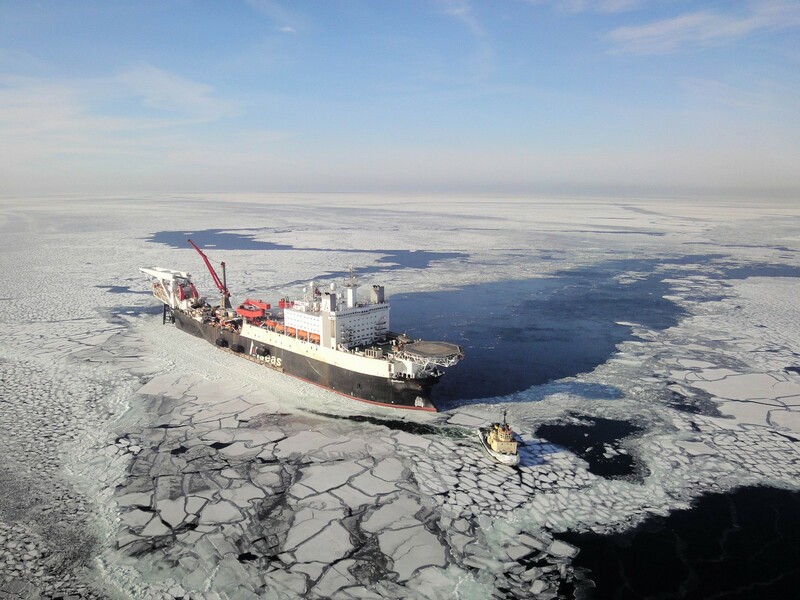 Based on the same principles as Lorelay her long length and ship-shape ensures excellent workability, and a pipe carrying capacity of 22,000 t makes her less dependent on offshore pipe supply in hostile areas. 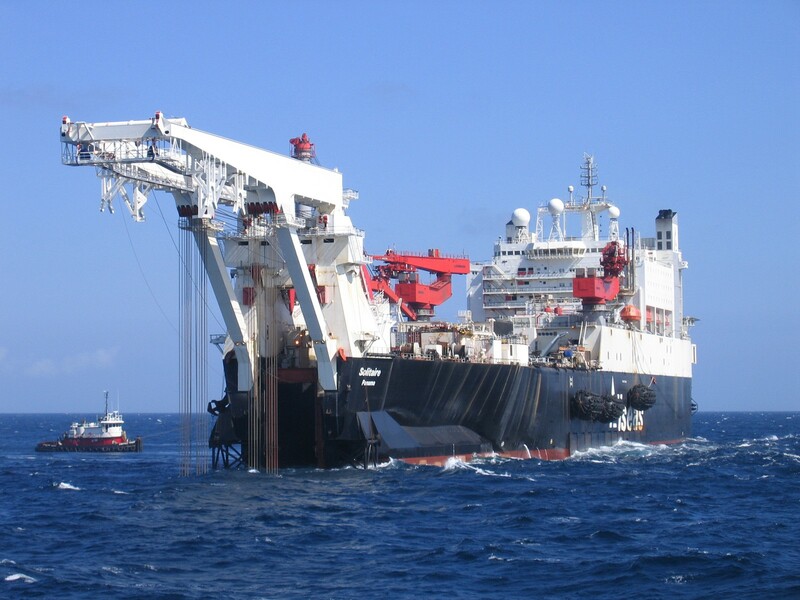 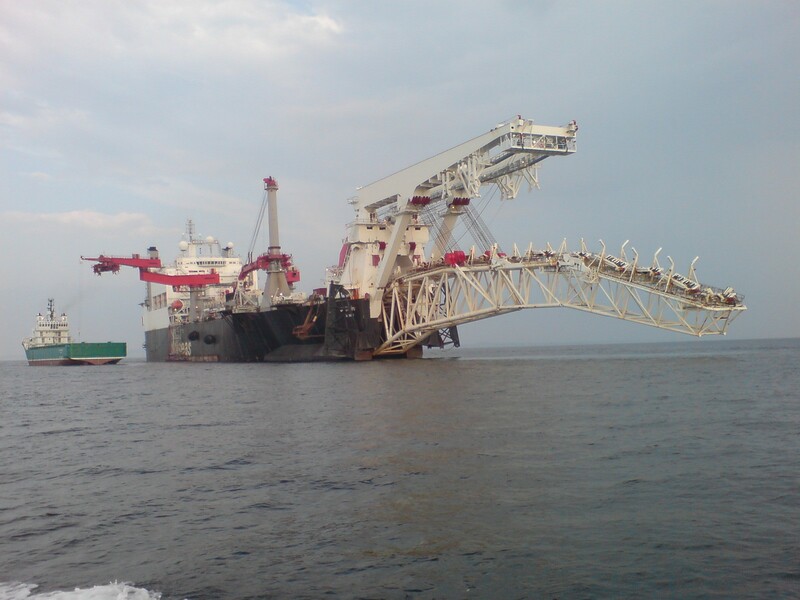 Precise manoeuvring on full dynamic positioning allows the vessel to work safely in congested areas. 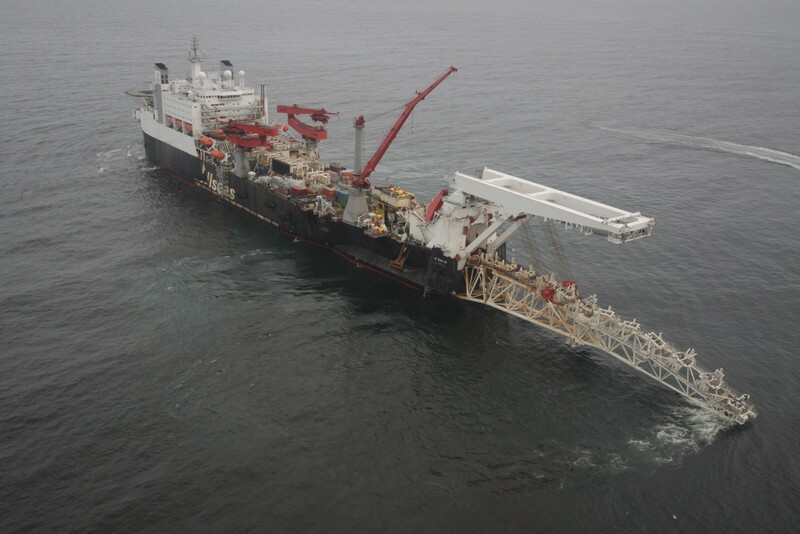 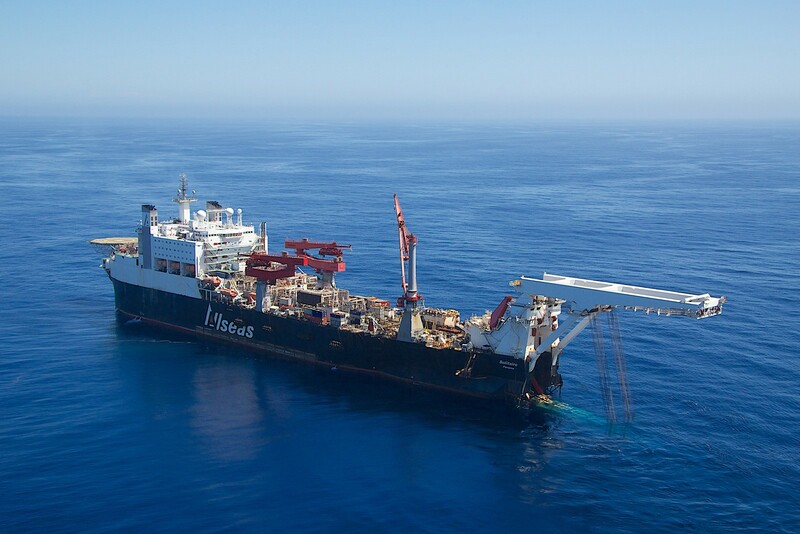 Solitaire has laid numerous deepwater pipelines. 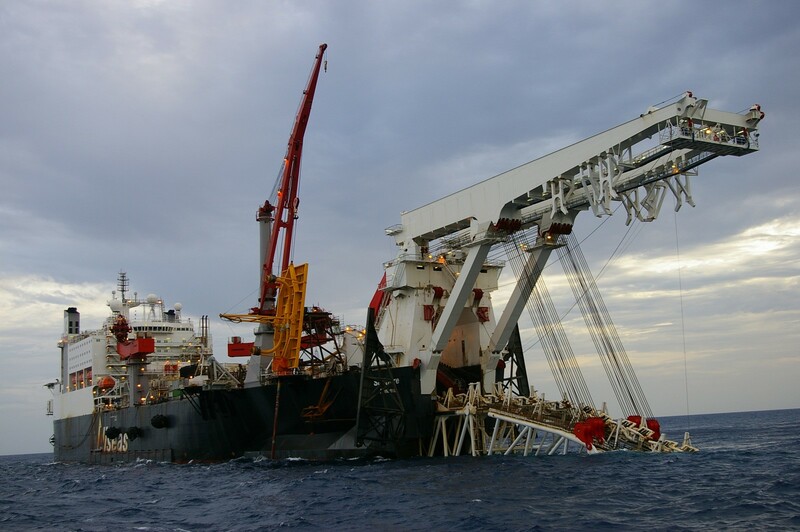 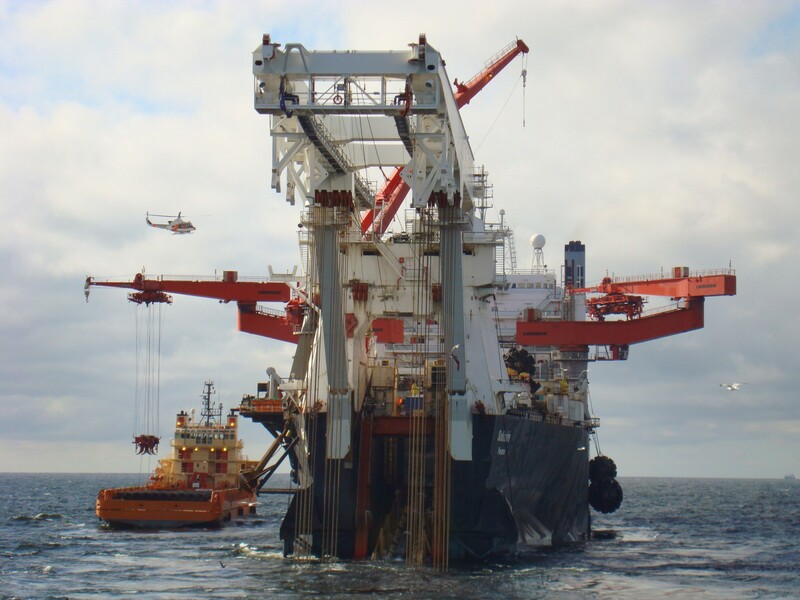 In 2005 her S-lay capacity was increased to a holding force of 1050 t, enabling her to lay the heaviest pipelines. 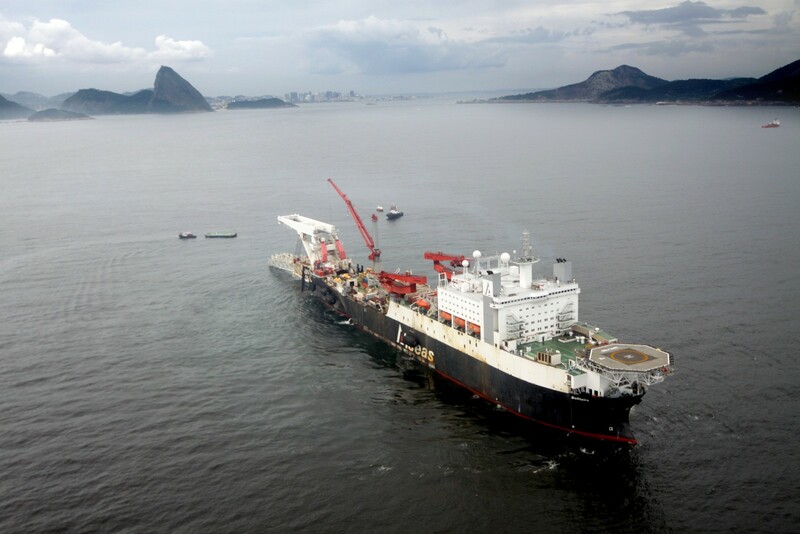 In 2007 she set the world record for ultra-deepwater pipeline installation, laying pipe to a depth of 2775 m (9100 ft). 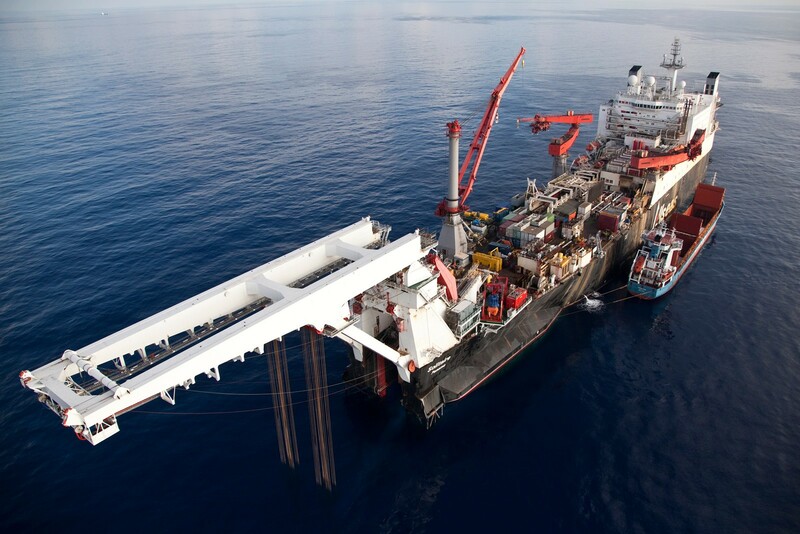 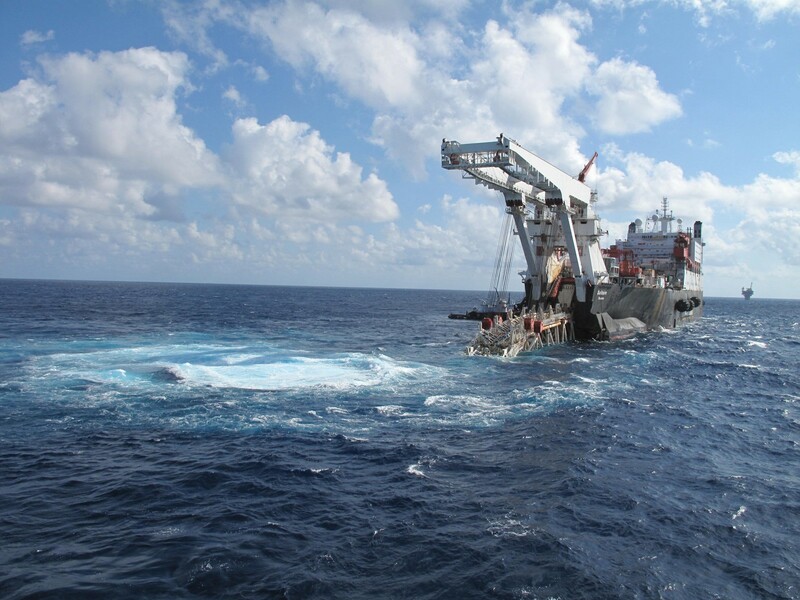 Solitaire’s high cruising speed, high laying speed and substantial carrying capacity make her competitive for pipelay projects anywhere in the world.